I am not a big believer in conspiracy theories, not least because they are an easy way of explaining complicated phenomenon and letting off the guilty. Hence it was easier to blame 'Jewish bankers' for the 1919 Stock Market crash than look at the real causes. They also tend towards racism, the belief that but for the Romanians/Poles or whoever is the most recent immigrant, has caused social problems to exacerbate. 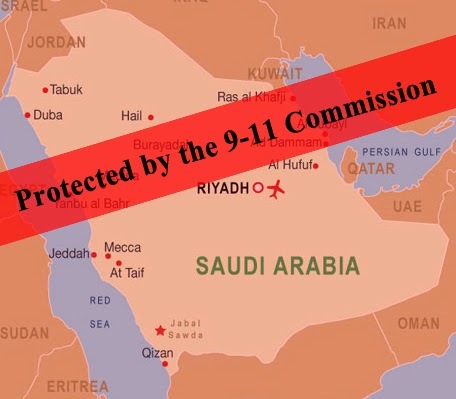 The Saudis deny any role in 9/11, but the CIA in one memo reportedly found "incontrovertible evidence" that Saudi government officials — not just wealthy Saudi hardliners, but high-level diplomats and intelligence officers employed by the kingdom — helped the hijackers both financially and logistically. 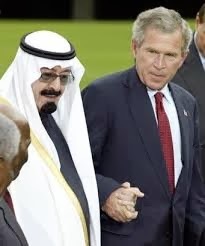 An Op-Ed in the NY Post is raising new suspicions about Saudi Arabia's role in 9/11 and the Bush Administration's role in covering it up. We discuss the cover up with former Senator and Chairman of the Select Intelligence Committee Bob Graham. Seven years pass after the CIA report was written during which the US invades Iraq fighting, among others, the newly established Iraq franchise of al-Qa'ida, and becomes engaged in a bloody war in Afghanistan with the resurgent Taliban. American drones are fired at supposed al-Qa'ida-linked targets located everywhere from Waziristan in north-west Pakistan to the hill villages of Yemen. But during this time Washington can manage no more than a few gentle reproofs to Saudi Arabia on its promotion of fanatical and sectarian Sunni militancy outside its own borders. Evidence for this is a fascinating telegram on "terrorist finance" from US Secretary of State Hillary Clinton to US embassies, dated 30 December 2009 and released by WikiLeaks the following year. She says firmly that "donors in Saudi Arabia constitute the most significant source of funding to Sunni terrorist groups worldwide". Eight years after 9/11, when 15 of the 19 hijackers were Saudis, Mrs Clinton reiterates in the same message that "Saudi Arabia remains a critical financial support for al-Qa'ida, the Taliban, LeT [Lashkar-e-Taiba in Pakistan] and other terrorist groups". Saudi Arabia was most important in sustaining these groups, but it was not quite alone since "al-Qa'ida and other groups continue to exploit Kuwait both as a source of funds and as a key transit point". Why did the US and its European allies treat Saudi Arabia with such restraint when the kingdom was so central to al-Qa'ida and other even more sectarian Sunni jihadist organisations? An obvious explanation is that the US, Britain and others did not want to offend a close ally and that the Saudi royal family had judiciously used its money to buy its way into the international ruling class. Unconvincing attempts were made to link Iran and Iraq to al-Qa'ida when the real culprits were in plain sight. But there is another compelling reason why the Western powers have been so laggard in denouncing Saudi Arabia and the Sunni rulers of the Gulf for spreading bigotry and religious hate. Al-Qa'ida members or al-Qa'ida-influenced groups have always held two very different views about who is their main opponent. For Osama bin Laden the chief enemy was the Americans, but for the great majority of Sunni jihadists, including the al-Qa'ida franchises in Iraq and Syria, the target is the Shia. It is the Shia who have been dying in their thousands in Iraq, Syria, Pakistan and even in countries where there are few of them to kill, such as Egypt. Pakistani papers no longer pay much attention to hundreds of Shia butchered from Quetta to Lahore. In Iraq, most of the 7,000 or more people killed this year are Shia civilians killed by the bombs of al-Qa'ida in Iraq, part of an umbrella organisation called the Islamic State of Iraq and the Levant (Isil), which also encompasses Syria. In overwhelmingly Sunni Libya, militants in the eastern town of Derna killed an Iraqi professor who admitted on video to being a Shia before being executed by his captors. Suppose a hundredth part of this merciless onslaught had been directed against Western targets rather than against Shia Muslims, would the Americans and the British be so accommodating to the Saudis, Kuwaitis and Emiratis? It is this that gives a sense of phoniness to boasts by the vastly expanded security bureaucracies in Washington and London about their success in combating terror justifying vast budgets for themselves and restricted civil liberties for everybody else. All the drones in the world fired into Pashtun villages in Pakistan or their counterparts in Yemen or Somalia are not going to make much difference if the Sunni jihadists in Iraq and Syria ever decide – as Osama bin Laden did before them – that their main enemies are to be found not among the Shia but in the United States and Britain. Instead of the fumbling amateur efforts of the shoe and underpants bombers, security services would have to face jihadist movements in Iraq, Syria and Libya fielding hundreds of bomb-makers and suicide bombers. Only gradually this year, videos from Syria of non-Sunnis being decapitated for sectarian motives alone have begun to shake the basic indifference of the Western powers to Sunni jihadism so long as it is not directed against themselves. Saudi Arabia as a government for a long time took a back seat to Qatar in funding rebels in Syria, and it is only since this summer that they have taken over the file. They wish to marginalise the al-Qa'ida franchisees such as Isil and the al-Nusra Front while buying up and arming enough Sunni war-bands to overthrow President Bashar al-Assad. The directors of Saudi policy in Syria – the Foreign Minister Prince Saud al-Faisal, the head of the Saudi intelligence agency Prince Bandar bin Sultan and the Deputy Defence Minister Prince Salman bin Sultan – plan to spend billions raising a militant Sunni army some 40,000 to 50,000 strong. Already local warlords are uniting to share in Saudi largesse for which their enthusiasm is probably greater than their willingness to fight. The Saudi initiative is partly fuelled by rage in Riyadh at President Obama's decision not to go to war with Syria after Assad used chemical weapons on 21 August. 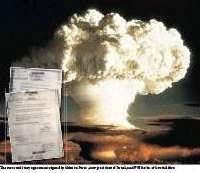 Nothing but an all-out air attack by the US similar to that of Nato in Libya in 2011 would overthrow Assad, so the US has essentially decided he will stay for the moment. Saudi anger has been further exacerbated by the successful US-led negotiations on an interim deal with Iran over its nuclear programme. 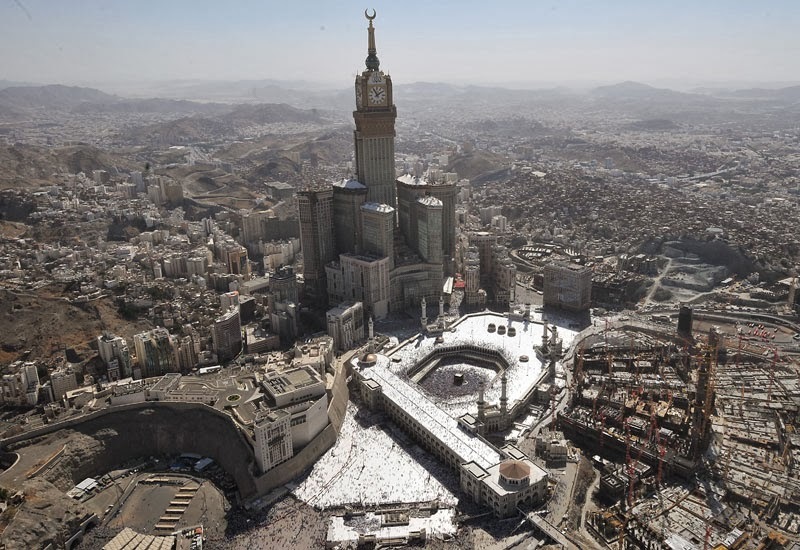 By stepping out of the shadows in Syria, the Saudis are probably making a mistake. Their money will only buy them so much. The artificial unity of rebel groups with their hands out for Saudi money is not going to last. They will be discredited in the eyes of more fanatical jihadis as well as Syrians in general as pawns of Saudi and other intelligence services. A divided opposition will be even more fragmented. Jordan may accommodate the Saudis and a multitude of foreign intelligence services, but it will not want to be the rallying point for an anti-Assad army. The Saudi plan looks doomed from the start, though it could get a lot more Syrians killed before it fails. Yazid Sayegh of the Carnegie Middle East Centre highlights succinctly the risks involved in the venture: "Saudi Arabia could find itself replicating its experience in Afghanistan, where it built up disparate mujahedin groups that lacked a unifying political framework. The forces were left unable to govern Kabul once they took it, paving the way for the Taliban to take over. 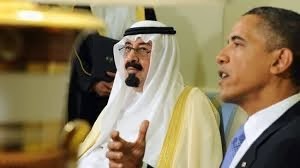 Al-Qa'ida followed, and the blowback subsequently reached Saudi Arabia." 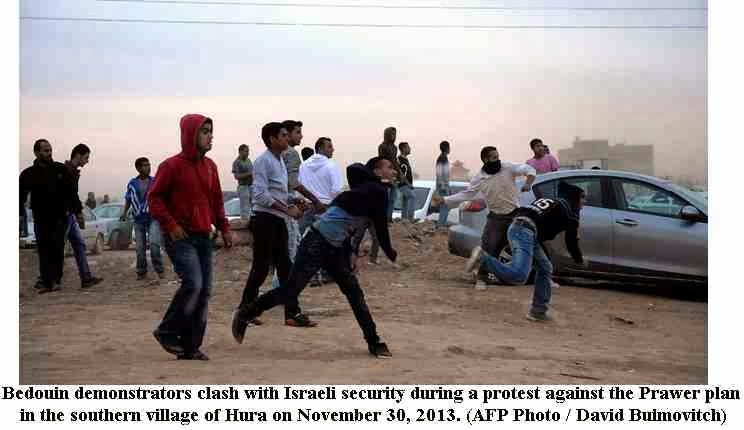 The intellectual dishonesty of Israel’s supporters is appalling. But in some odd way, it is also understandable. How else could they respond to the massively growing Boycott, Divestment and Sanctions (BDS) campaign? 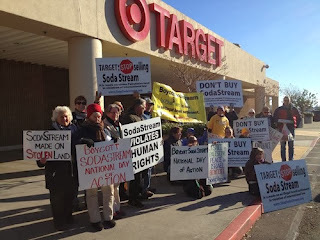 When a non-violent campaign – empowered by thousands of committed civil society activists from South Africa to Sweden and most countries in between – leads a moral campaign to isolate and hold into account an Apartheid country like Israel, all that the supporters of the latter can do is spread lies and misinformation. There can be no other strategy, unless of course, Israel’s friends get their own moment of moral awakening, and join the BDS flood that has already broken many barriers and liberated many minds from the grip of Israeli hasbara. 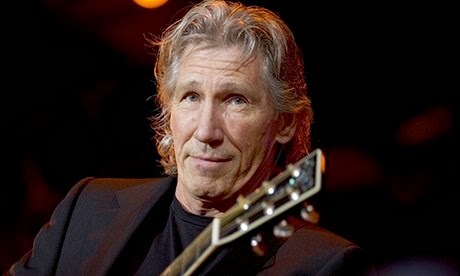 Boteach is particularly daring to go after Waters, a person adored by millions, and not only because of his legendary music, but also of his well-known courageous and moral stances. But once again, the panic felt in pro-Israeli circles is understandable. What Israeli officials describe as the de-legitimization of Israel is reaching a point where it is about to reach a critical mass. 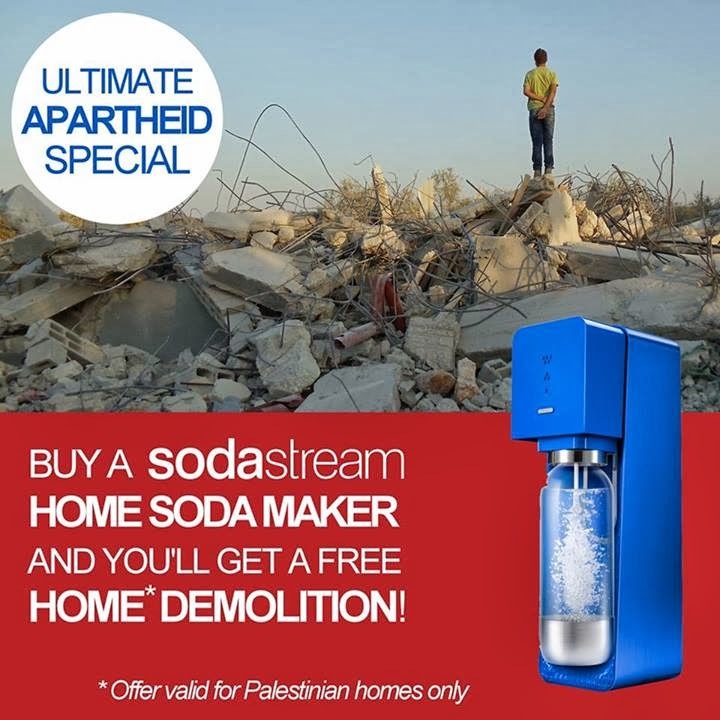 It is what Palestinian Gaza-based BDS activist Dr. Haidar Eid referred to in a recent interview as Palestine’s South Africa moment. 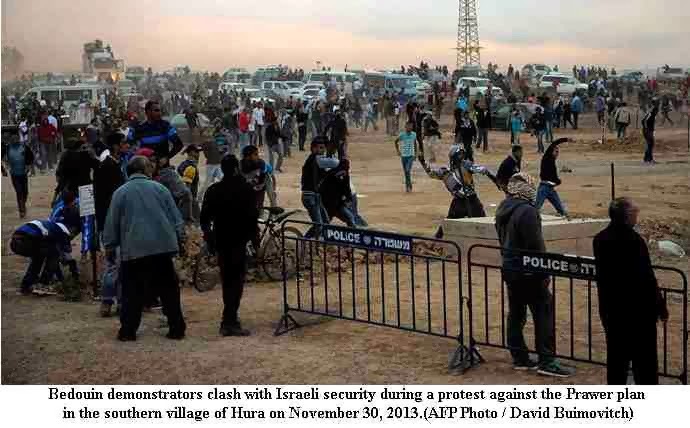 In an article in the Israeli daily Haaretz published on Dec 12, Barak Ravid introduced his piece with a dramatic but truthful statement: “Western activists and diplomats are gunning for Israel’s settlements in the Palestinian territories, and if peace talks fail, the rain of boycotts and sanctions could turn into a flood.” Entitled “Swell of boycotts driving Israel into international isolation,” Ravid’s article establishes a concrete argument of why the boycott movement is growing in a way unprecedented in the history of Israel. I am writing these words from Spain, the last stop on a European speaking tour that has taken me to four European countries: France, Switzerland, Luxembourg and Belgium. The purpose of my tour was to promote the recently published French edition of my last two books, the second being: My Father Was a Freedom Fighter, Gaza’s Untold Story (Resistant en Palestine, une histoire vrai de Gaza). But at the heart of all my talks was the promotion of what I call ‘redefining our relationship to the struggle in Palestine,’ based first and foremost on ‘moral divestment’ from Israel. Only then, can we change our role from spectators and sympathizers to active participants as human rights defenders. 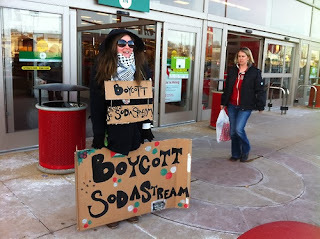 The main address of such activities can be summed up in the initials: BDS. What I learned throughout my tour, well attended and also covered in French media, was even to surprise me. The BDS debate is at such an advanced stage and it has indeed surpassed my expectations. In my last European tour of 2010, many of us were attempting to push the boundaries of the debate facing much resistance, even from groups and movements that were viewed as progressive. The situation has now changed in such an obvious away that on occasions I was compelled by the audience to discuss the most effective BDS strategies, as opposed to defending the very virtue of the tactic. 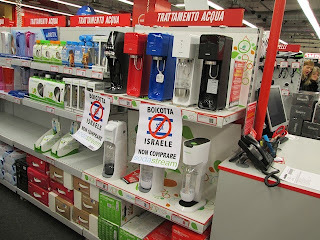 And within the two weeks of my travels, there was a flood of news of western governments, companies and academic institutions either joining the boycott or deliberating the possibility of doing so. The Romanian government, for example, is refusing to allow its labors to work in illegal Jewish settlements. A few years ago, this kind of news was simply unheard of. But what changed? In some respects, nothing, and that is the crux of the argument. 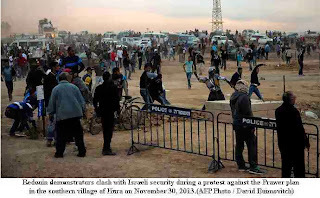 The Israeli occupation is more entrenched than ever; the illegal settlements are increasing and expanding; and the so-called peace process remains a charade maintained mostly for political self-serving reasons – a cover for the colonial policies of Israel, and a condition for continued US-western financial and political backing of the Palestinian Authority – and so on. But other factors are changing as well. BDS activists have found a common strategy and are formulating a unifying narrative that is finally liberating the Palestinian discourse from the ills of factionalism, empty slogans and limiting ideology. The new platform is both decisive in its morality and objectives, yet flexible in its ability to encompass limitless groups, religions and nationalities. Indeed, there is no room for racism or hate speech in BDS platforms. What is equally as important is that there can also be no space for gatekeepers who are too sensitive about Israel’s racially-motivated sensibilities, or those ever-willing to manipulate history in such a clever way as to prevent a pro-active strategy in being advanced. The ship has sailed through all of this, and the boycott is vastly becoming the new and permanent address of the international solidarity with the collective resistance and struggle of the Palestinian people. 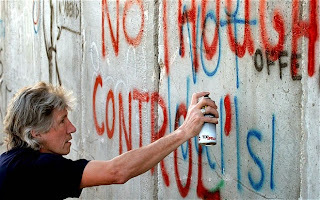 Of course, when Roger Waters took the stances that he did, he knew well of the likes of Boteach who would immediately denounce him as ‘anti-Semite.’ The fact is, however, the number of ‘Roger Waters’ out there is quickly growing, and the power of their moral argument is widely spreading. 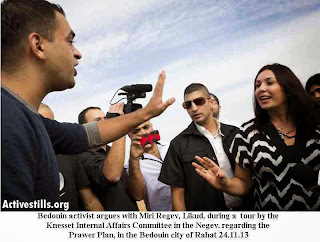 Israeli smear tactics are not only ineffective but also self-defeating. Ramzy Baroud is author of The Second Palestinian Intifada: A Chronicle of a People’s Struggle and “My Father Was a Freedom Fighter: Gaza’s Untold Story” (Pluto Press, London). 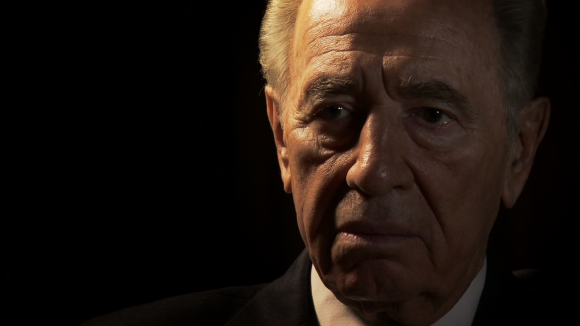 Peres also couldn't go to South Africa - he had flu! 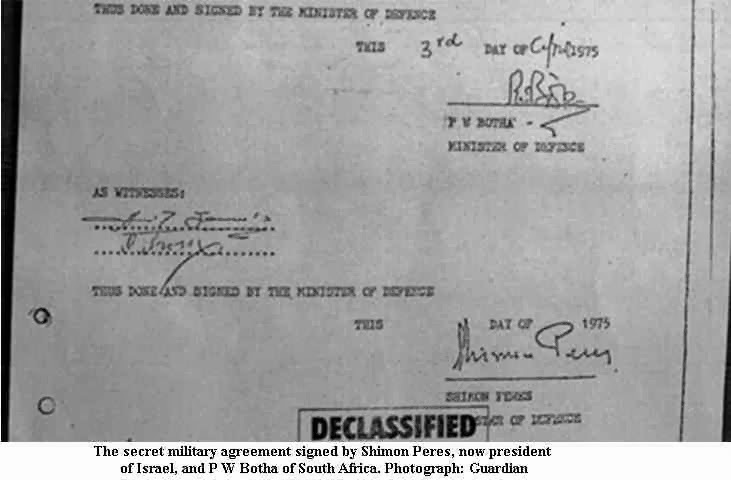 However, it is quite possible that Mr Netanyahu may have been less than ecstatically welcomed in the new South Africa anyway, following revelations that the country’s apartheid regime was the Israeli defense industry’s biggest customer and sponsor. For many years it was virtually a capital offence to use the word “apartheid” as an analogy to policies of the Israeli government in the Occupied Territories. In 2007 my friend Danny Rubenstein, the venerated Arab Affairs analyst of Haaretz newspaper, was invited by the Zionist Federation of Great Britain to address an event. 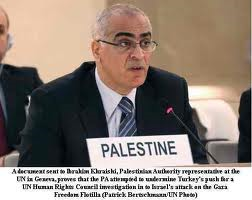 On his way he stopped to address a UN committee in Brussels, and used the word “apartheid” to describe Israel’s attitude towards the Palestinians. In response, he was unceremoniously dumped by the ZFGB and left high and dry in a B&B in Golders Green on a Friday night. He was eventually rescued by the New Fund for Israel and invited to a crowded gathering in a North London Reform synagogue. 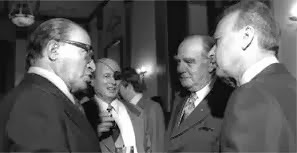 But while Rubenstein was mainly concerned to warn the audience of the dangers of Israel following in the footsteps of the Afrikaaners, his interviewer – and most of the questioners - kept harping on what was constantly, if coyly, referred to as “the A-word”. 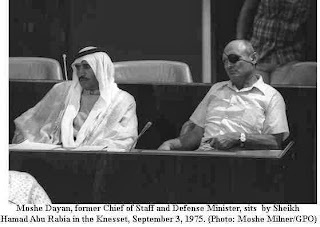 Yet it now emerges that for decades Israel supported the “A-word” regime and its military with advanced weapon systems at a time when Western sanctions meant no one else would. According to Haaretz editor Aluf Benn, the cooperation reached its peak in the late 1980s, the twilight of the apartheid regime. 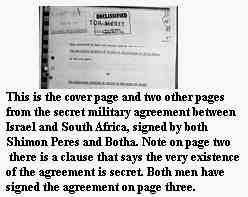 In the summer of 1988, Benn says, Israel reportedly sold South Africa 60 Kfir combat planes in a hushed-up deal worth $1.7 billion. 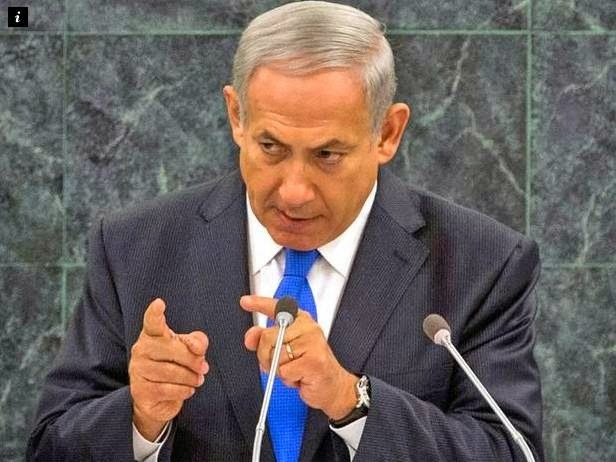 The planes were upgraded and renamed Atlas Cheetah and Israel’s involvement was played down because the US was party to the sanctions regime, according to Haaretz. Israel joined the international sanctions in 1987 but said it would honour existing contracts so the deal went ahead anyway. 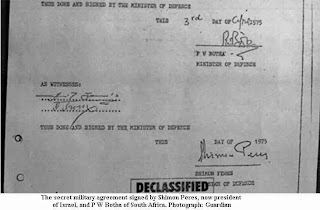 A few weeks later, the Israelis launched the first Ofek reconnaissance satellite which Benn claims could only have been developed with South African funding. 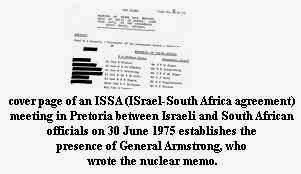 And only in 1991 was the US able to force the Israeli government to stop selling SA short and midrange missiles. 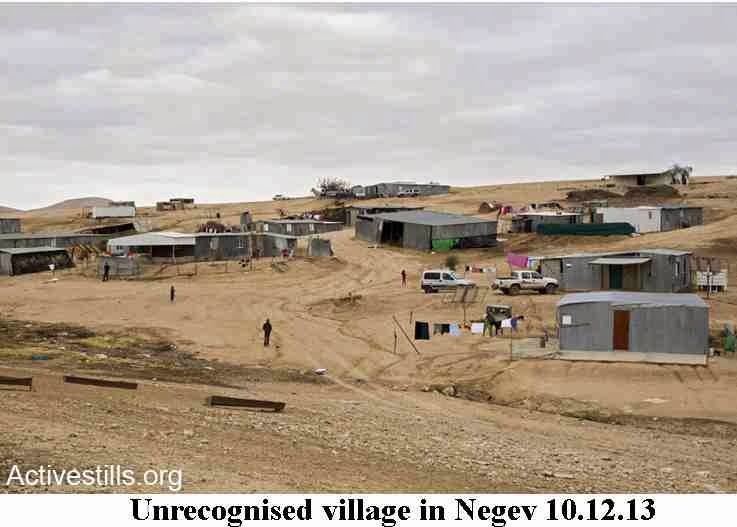 Maps which were only revealed in the past few days show how the Israelis plan to create bantustans for the Nomadic Bedouin in its southern Negev region. 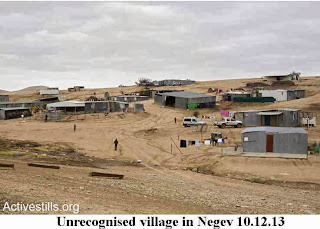 Tens of thousands of them would be forced into ghettoes to make way for new Jewish towns and military zones. A-word, anyone? This is one of the most significant developments in the United States and shows the depth of disillusion with Israel amongst the Jewish community. Rabbi Hillel, (110 BCE, died 10 CE) rejected the Zionist concept of ‘retaliation’ and expulsion (he prefigured Jesus’s Sermon on the Mount by saying you ‘What is hateful to thee, do not unto thy fellowman; this is the whole Law. The rest is but commentary.’ . Like all Jewish institutions today it has had the normal Zionist intolerance foisted upon it. You cannot be an anti-Zionist Jew and become a member of Hillel. What is significant is that for the first time ever, a local Hillel has rebelled against these police state rules and declared that Hillel is open to all. It is yet another sign of the way the wind is blowing. Instead of taking heed of the trends, Hillel’s International President Hillel International President and CEO Eric Fingerhut has written a typically Zionist McCarthyite letter as to who is acceptable within the tent. to Joshua Wolfsun, Communications Coordinator of the Swarthmore Hillel Student Board. It breathes intolerance in the Zionist tradition and the refusal to accept that many Jews are no longer Zionists. It is also an example of dishonesty and how Zionism transforms the positive Jewish heritage into one of chauvinism and racism. ‘If I am not for myself, who is for me? And if I am only for myself, what am I? If not now, when? … I hope you will inform your colleagues on the Student Board of Swarthmore Hillel that Hillel International expects all campus organizations that use the Hillel name to adhere to these guidelines. No organization that uses the Hillel name may choose to do otherwise. Your resolution further includes the statement: “All are welcome to walk through our doors and speak with our name and under our roof, be they Zionist, anti-Zionist, post-Zionist, or non-Zionist.” This is simply not the case. Let me be very clear – “anti-Zionists” will not be permitted to speak using the Hillel name or under the Hillel roof, under any circumstances…. NEW YORK (JTA) — Hillel International warned its Swarthmore College chapter that it cannot use the Hillel name if it flouts the international Jewish campus group’s Israel guidelines. Hillel delivered the warning Tuesday in a sharply worded letter following the Swarthmore chapter student board’s decision to repudiate Hillel guidelines prohibiting partnerships with groups deemed hostile toward Israel. Fingerhut, in his letter, rejected the formulation. “Let me be very clear – ‘anti-Zionists’ will not be permitted to speak using the Hillel name or under the Hillel roof, under any circumstances,” he wrote. Wolfsun had previously told the Forward that Swarthmore Hillel did not need to worry about financial repercussions. “We are funded by our own endowment and have no board of overseers,” he said. I would like to add that last month, the Hillel Chapter, Goucher College, Baltimore, Maryland, hosted the Israeli-Palestinian youth music movement, HEARTBEAT. The band played fusion rock, hip-hop, traditional Jewish and Arabic music and sent a strong message against segregation and discrimination, and sang for unity and an end to walls. There was a large crowd from the campus. They then had a discussion (but I couldn't stay for the entire afternoon). The founder of the group is an American Jewish former music student who is now doing his graduate studies in Rockville, Maryland. The organization is growing and including more musicians of Palestinian and Israeli background. If you want more information about the group, you can let me know. Two weeks ago, an Israeli speaker was barred from Harvard Hillel because he was sponsored by a Palestinian solidarity committee. Over the weekend the Swarthmore College Hillel responded with a stunning and unanimous declaration: We defy Hillel International’s rules. Here are two statements. First, a press release announcing the refusal to accept the international body’s guidelines on speakers and putting out a welcome mat for anti-Zionists, post-Zionists, non-Zionists, everyone. (And not just Jews.) And below that, the resolution itself. Notice particularly the invocation of “our namesake,” Rabbi Hillel, who believed in open debate. Notice the defiant statements about “the true face of young American Jews” against the “monolithic face” that Hillel wants the Jewish community to have. Shattering. we need to constantly wrestle with how best to meet the collective needs of a diverse community. We need to create a space that is safe and welcoming for all. For all. In a diverse community. Swarthmore is redefining the modern Jewish community. On November 11, former speaker of the Israeli Knesset Avraham Burg was supposed to give a talk on the Israeli-Palestinian conflict at the Harvard Hillel house. Instead, Hillel barred him from speaking at the Hillel house, and he ended up giving his talk in an undergraduate dormitory on campus. The reason he was barred? His talk was co-sponsored by the Harvard College Palestinian Solidarity Committee. Sadly, for organizations bearing the name “Hillel,” situations like these are all too common. Across the country, many Hillels have banned Breaking the Silence, an organization of Israeli soldiers that facilitates talks about the Israeli military and West Bank occupation. Jewish Voice for Peace, which seeks “peace and justice for all peoples of the Middle East,” has never been allowed to affiliate with Hillels. On some campuses, J Street has had a difficult time working with Hillels, and events co-sponsored by Students for Justice in Palestine or Palestine Solidarity Committees have often been banned. Across the country, Hillels’ suppression of the freedom to speak and believe things that are not narrowly pro-Zionist are the direct result of Hillel International’s Israel Guidelines. Right after stating in their “Political Pluralism” section that they object to excluding “students for their beliefs and expressions,” they declare that they “will not partner with, house, or host” – in other words, they will exclude – groups and speakers that espouse certain beliefs about Israel. 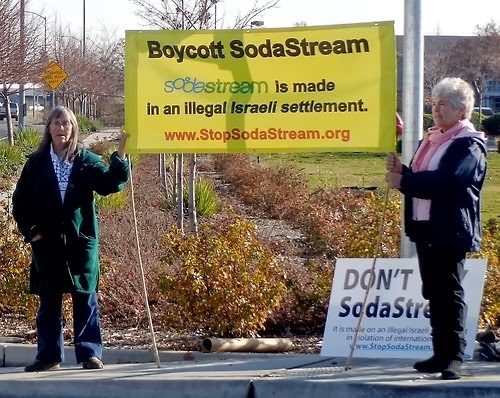 These contraband beliefs include denying the right of Israel to exist as a Jewish and democratic state and supporting boycotting, divesting, or sanctions against Israel. They also ban those who “delegitimize, demonize, or apply a double standard to Israel.” No further explanation is provided to clarify these guidelines, but their ambiguity has done nothing to ease the stifling effect they have on individual Hillels’ freedoms of speech, belief, and association. These guidelines would exclude speakers with views like those of Peter Beinart, Judith Butler, and Noam Chomsky. Hillel, billing itself as the “Foundation for Jewish Campus Life,” is seen by many as the face of the American Jewish college population. And due to these policies, it is a face that is often seen to be monolithically Zionist, increasingly uncooperative, and completely uninterested in real pluralistic, open dialogue and discussion. 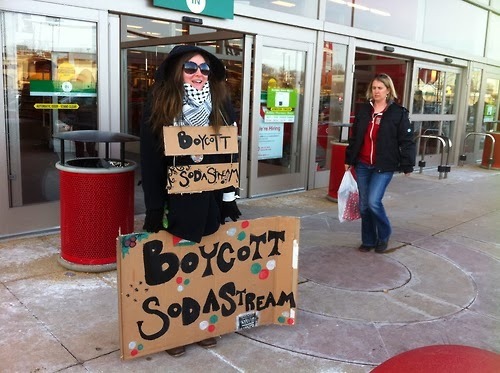 We do not believe this is the true face of young American Jews. In fact, we do not believe there is only one face of young American Jews. We believe there are many faces of this diverse population. In our community, we find this diversity in the conversations we have with each other in our Sukkah, in the group of students meeting in a college coffee bar to discuss Talmudic conceptions of angels, and in the songs we sing together after a Shabbat meal. If we are truly devoted to fostering Jewish Campus Life, we need to constantly wrestle with how best to meet the collective needs of a diverse community. We need to create a space that is safe and welcoming for all. We need to a create a space that invites difference – difference of opinion, difference of belief, difference of background, difference of race, gender, and sexual orientation. This is hard work. But if we are going to bear the name of Rabbi Hillel, we cannot expect anything less to be asked of us. Rabbi Hillel valued Jewish debate and difference – it was at the core of his practice. We do the same. For us, that is what the name Hillel symbolizes. Therefore, we choose to depart from the Israel guidelines of Hillel International. We believe these guidelines, and the actions that have stemmed from them, are antithetical to the Jewish values that the name “Hillel” should invoke. We seek to reclaim this name. We seek to turn Hillel – at Swarthmore, in the Greater Philadelphia region, nationally, and internationally – into a place that has a reputation for constructive discourse and free speech. We refuse to surrender the name of this Rabbi who encouraged dialogue to those who seek to limit it. To that end, Swarthmore Hillel hereby declares itself to be an Open Hillel. All are welcome to walk through our doors and speak with our name and under our roof, be they Zionist, anti-Zionist, post-Zionist, or non-Zionist. We are an institution that seeks to foster spirited debate, constructive dialogue, and a safe space for all, in keeping with the Jewish tradition. We are an Open Hillel. 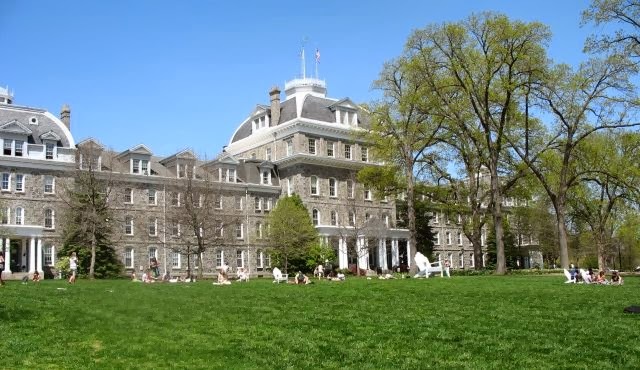 In a move that sent shockwaves through the American Jewish community, the Hillel chapter at Philadelphia’s Swarthmore College declared in an open letter last week that it would not comply with its parent organization’s policy of censoring speech critical of Israeli policy. Hillel International, the world’s largest Jewish campus organization, acts as an umbrella group for more than 550 chapters around the world — but mainly within the United States. Hillel’s Israel Guidelines forbid chapters from hosting individuals or organizations that oppose Israel’s status as a “Jewish and democratic state” (i.e., its right to discriminate against non-Jews). The guidelines further ban those who “delegitimize, demonize, or apply a double-standard to Israel” (a catch-all for virtually all other forms of criticism). They also rule out any speaker who supports boycotts, divestment or sanctions (i.e. 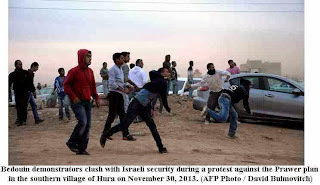 the use of nonviolent pressure to encourage Israel to comply with international law). Therefore, we choose to depart from the Israel guidelines of Hillel International. We believe these guidelines, and the actions that have stemmed from them, are antithetical to the Jewish values that the name “Hillel” should invoke. We seek to reclaim this name. 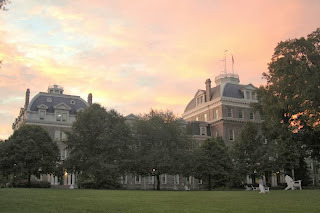 Swarthmore Hillel was rebuked almost immediately in a sharply-worded letter from Hillel International President Eric Fingerhut. Hillel International told the Jewish Telegraphic Agency that Fingerhut would meet with representatives of Swarthmore Hillel in January, but declined to say if any punitive measures would be taken. Although Hillel’s campus chapters are autonomous entities, Swarthmore Hillel is particularly well-positioned to challenge the policies of the umbrella group. It receives little funding from Hillel International, and unlike most chapters, it doesn’t have a non-student board of directors. The Swarthmore move is a major leap forward for the broader Open Hillel, which was launched at Harvard last year. Open Hillel has started a petition in support of Swarthmore Hillel’s declaration that has already gained more than 1,000 signatures. When Fingerhut was hired earlier this year, he said in an interview with JNS.org that the Hillel board’s commitment to its Israel Guidelines was “an important thing” that persuaded him to take the job. In a recent op-ed authored with Jonathan Kessler, Fingerhut boasted of the way Hillel works alongside lobbying group AIPAC to “develop better and more effective strategies for minimizing the impact of anti-Israel activities on campus.” Kessler is the longtime leader of AIPAC’s campus programs. Its partnership with AIPAC is only one feature of Hillel’s role in coordinating anti-Palestinian advocacy on college campuses. Seventy Hillel chapters across the United States host “Israel Fellows” employed by the Jewish Agency for Israel, working to increase Jewish students’ “engagement” with Israel, in large part through anti-Palestinian advocacy. 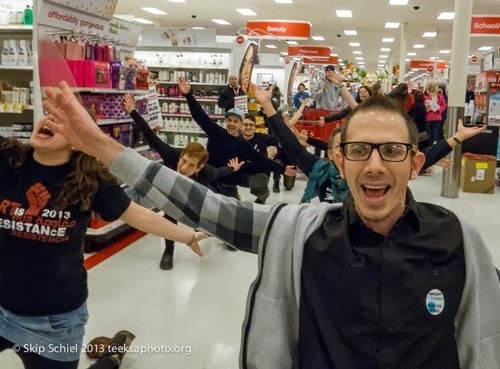 Hillel chapters also work closely with “Campus Coordinators” from the David Project, a Boston-based nonprofit which trains students to weave personal networks that can be activated to advance anti-Palestinian initiatives or respond to criticism of Israel on their campuses. In recent years, mainstream US anti-Palestinian groups, led by the Israel Action Network (IAN), have sought to reduce the extent to which they are with identified with overt efforts at censorship, such as attempts to block Judith Butler and Omar Barghouti from speaking at Brooklyn College. This is part of a broader strategy aimed at crafting a “Big Tent” that can leverage voices seen as being on the left to “drive a wedge” between Palestinian rights advocates and potential progressive supporters. With the Swarthmore declaration, and a growing perception that Hillel and associated institutions are out of touch with their communities and enforce a false consenus through the use of bullying, that strategy faces a serious crisis. 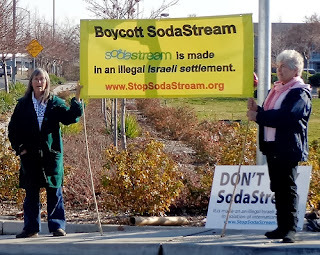 Andy Bachman, a rabbi known for working with IAN to aggressively pressure Brooklyn’s Park Slope Food Co-op to continue stocking Israeli products, including settlement-made SodaStream beverage devices, was quick to leap to Swarthmore Hillel’s defense in the pages of the Forward. While known astroturfer Bachman’s op-ed may be part of a deliberate communications strategy developed by key institutional stakeholders, it’s far too early to predict how this will play out. Should other Hillels find inspiration in Swarthmore’s bold decision, or should the ideals behind the Open Hillel movement spread to other Jewish communal institutions, the anti-Palestinian leadership of groups like Hillel International may face a crisis larger than they thought. Thank you for sharing your views regarding Hillel and our approach to open and civil discussions and programs related to Israel. I want to state clearly that Hillel welcomes all Jewish students, including those of all political ideologies regarding Israel. We embrace fully the broad mission of American higher education, which creates a unique opportunity to learn, to listen, to debate and to disagree. We want Jewish students to benefit from this environment of discussion, learning and new perspectives, and to contribute to it. This goes for any issue, and we are proud of the many Hillel student leaders who are actively involved in a range of campus debates and organizations. We also do not discourage Jewish students from participating in programs or discussions related to Israel, such as the future of the peace process, or any program which they want to attend. We have many Hillel leaders who do exactly that, and we are proud of their efforts to reconcile their own political and policy views with the difficult realities of that region. They set a remarkable example, and I learn from them every day. 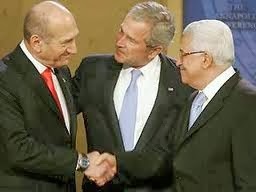 That said, we do not and will not partner with groups that seek to delegitimize and isolate the Jewish state. We do not deny to these groups the right to pursue their agenda on campus – they have their own resources and their own supporters. We simply will not partner with these groups or host such events in an official capacity. But again, I want to emphasize that Hillel embraces all Jewish students as equal members of our holy community. Thank you for your concern and leadership. For more on our guidelines related to these issues, please read our Israel guidelines, which can be found here: http://www.hillel.org/jewish/hillel-israel/hillel-israel-guidelines. The purpose of being a student is to be able to learn, think and criticise. For some Jewish students to be exorcised from Hillel suggests that you are afraid that others might hear their message. Well I've news for you. They will anyway! I totally support Swarthmore Hillel in their decision to become an "Open Hillel." I believe that Hillel International's "Standards for Partnership" weaken Hillel, alienate many Jewish students, and reduce the vibrancy and diversity of the Hillel community. Given your own doctrine of "fearless inclusivity," all Jewish students and organizations should be welcome in Hillel. Hillel should not require students to hold a particular 'kosher' political ideology in order to be included. 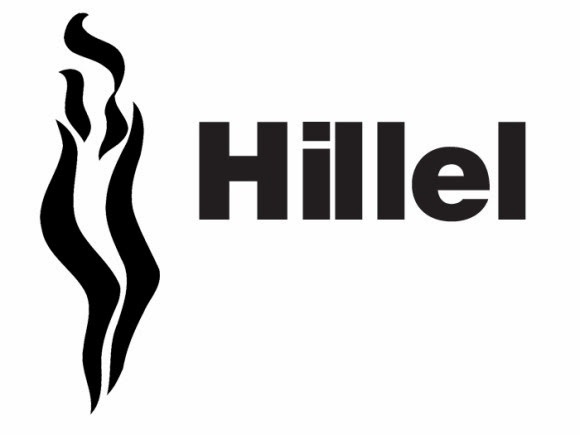 By excluding students, Hillel does not erase their political views, but simply prevents them from connecting with a Jewish community. The current policies also prevent Jewish and Palestinian groups on campus from working together or engaging in dialogue -- dialogue that would help both Jewish and Palestinian students gain a deeper understanding of each others' perspectives. Hillel should be a space for free discourse and open dialogue, not a monolithic political entity that represents fewer and fewer Jewish students' views. Please do not override students' voices, at Swarthmore Hillel or anywhere else -- respect Swarthmore Hillel's decision to become an Open Hillel, and remove Hillel International's "Standards for Partnership" so that all Hillels are free to be Open Hillels. Sodastream's Failed Campaign in Brighton. When Sodastream opened its first and only so-called flagship eco-store in Brighton last year, there was talk in the local press about this shop being the first of many in the UK. Brighton had been chosen because of our 'green' image and the fact that we have the only Green MP, Caroline Lucas (who has supported the demonstrators outside the shop). 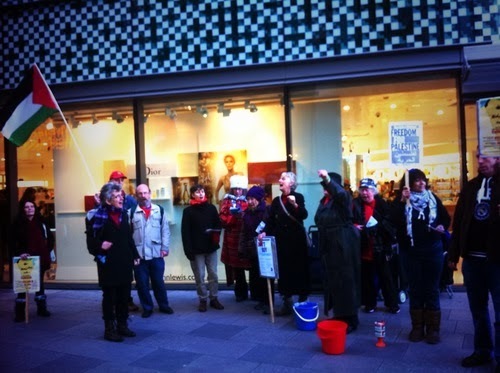 Our impression at the time was that they were going to assess its success in Brighton and, assuming reasonable profits (or market share, or penetration, or whatever the business-speak term is) they would then roll out similar so-called eco stores across the UK. Our understanding is that they have radically but quietly revised their plans and in essence concentrated on getting their products into other stores like Argos. 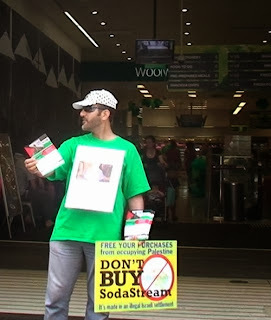 Sodastream (renamed Ecostream in Brighton) have in effect abandoned the expansion project (unusual for Israelis, I know) due in large part to the noisy reception they received in Brighton. I've emailed their customer services, using a couple of (erm) useful email addresses, to say how envious we are here in (eg) Sheffield that Brighton has such a fantastic eco-shopping place, and when are they going to open one here so all us greenies can re-fill our bottles? All the replies say the same thing - "no plans to open a shop near you, I'm afraid". 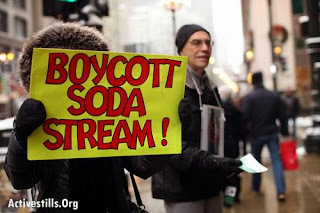 This suggests that the original Sodasstream project has been abandoned. Mahmoud Abbas, de facto leader of the Ramallah-based Palestinian Authority, has made his clearest statement in opposition to the global campaign of boycott, divestment and sanctions (BDS) on Israel in solidarity with the Palestinian people. His comments have drawn strong condemnation from Palestinian and South African activists. 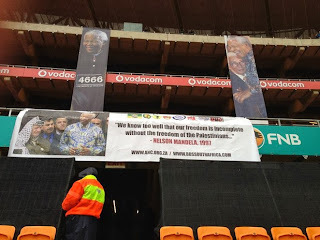 It has also emerged that South Africa’s chief rabbi, who spoke at Nelson Mandela’s memorial, is a committed supporter of Israel’s colonization of occupied land, a denier of its abuses of Palestinian rights and lived in a radical Israeli settlement. 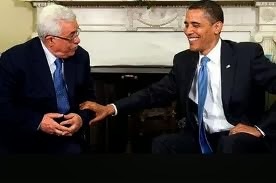 It is unclear what Abbas meant by “mutual recognition.” While Abbas and the Palestine Liberation Organization have recognized Israel, Israel does not recognize a Palestinian state or indeed any Palestinian rights whatsoever and continues to aggressively steal Palestinian land. Abbas’ comments conflict “with the Palestinian national consensus that has strongly supported BDS against Israel since 2005,” Omar Barghouti told The Electronic Intifada. A founder of the BDS movement, Barghouti emphasized that he was commenting in a personal capacity. 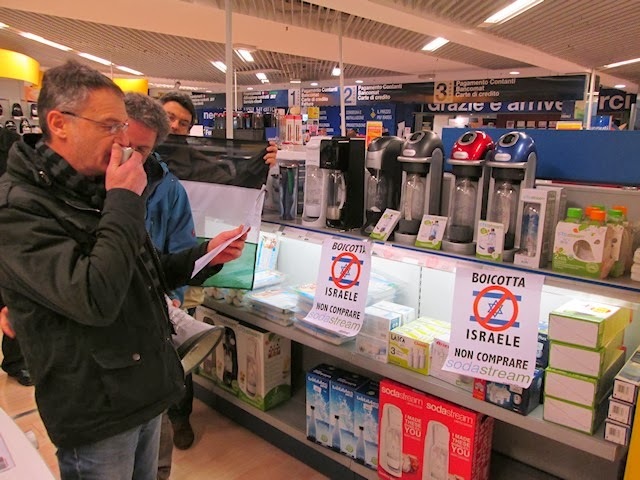 The Palestinian civil call for BDS urges “people of conscience all over the world to impose broad boycotts and implement divestment initiatives against Israel similar to those applied to South Africa in the apartheid era” and does not limit such campaigns only to settlement goods. 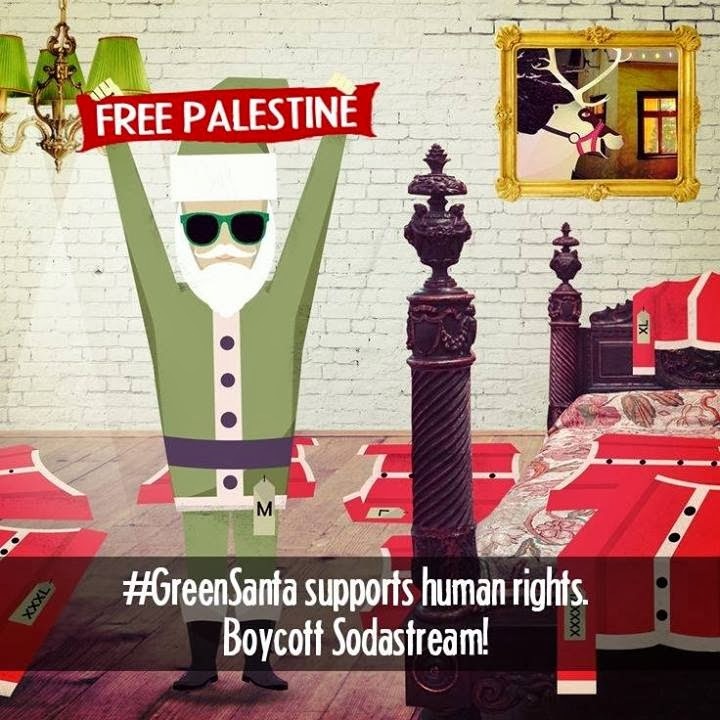 “Any Palestinian official who today explicitly speaks against boycotting Israel – particularly in a country like South Africa, where the ruling party, leading trade unions, churches and other civil society groups have warmly endorsed BDS – only shows how aloof he is from his own people’s aspirations for freedom, justice and equality, and how oblivious he is to our struggle for their inalienable rights,” Barghouti added. Israel and its lobby in South Africa will be particularly pleased to hear Abbas’ comments, which come just weeks after South Africa’s foreign minister Maite Nkoana-Mashabanesaid that her country was reducing its ties with Israel. Abbas’ words were “akin to what our erstwhile bantustan leaders would have said and this has the potential of undoing much of the work of the solidarity movement which is supported by the vast majority of South Africans,” Vally added. Bantustans were nominally independent “states” set up by the apartheid regime with subservient leaders to disguise and legitimize apartheid. 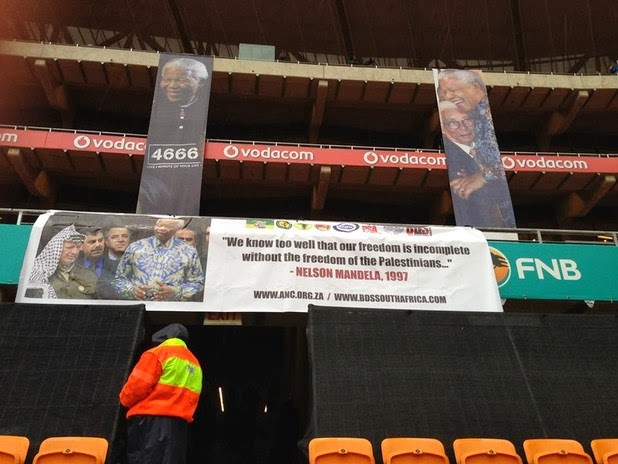 “Mandela and his movement fought against the Bantustan leaders all their careers,” Vally said. This is not the first time Abbas and the Palestinian Authority have sought to undermine the increasingly high-profile BDS movement. 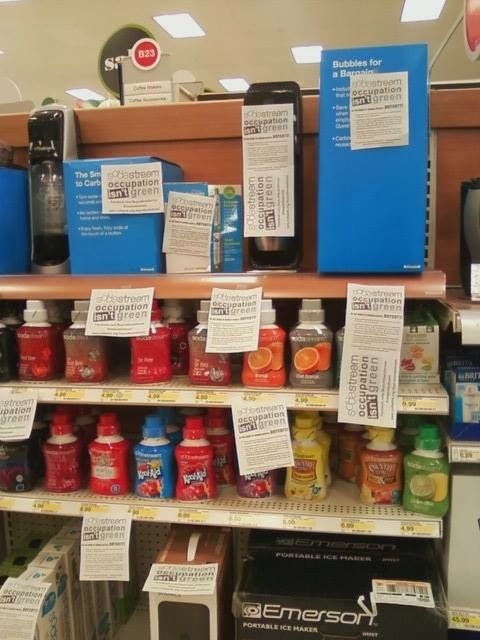 In 2010, the PA launched a short-lived campaign urging Palestinians to boycott settlement goods. 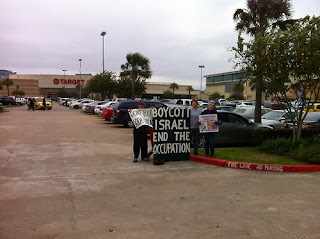 While welcomed by many, as I wrote at the time, its true purpose appeared to be to undermine the broader BDS movement. 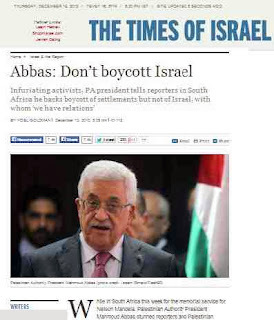 Abbas himself took part in that campaign while urging trade with Israel. “We are not boycotting Israel, because we have agreements and imports from it,” he said. Trade with Israel directly benefits Palestinian elites and the Palestinian Authority, which is entirely reliant on Israeli goodwill. The Abbas-led PA is deeply entrenched in the Israeli occupation and relies on Israel for weapons to use in its crackdown against any form of Palestinian resistance. As recently as October, Abbas boasted about the work PA security forces have done on behalf of the Israeli occupation army. 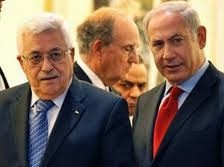 “The Palestinian Authority has achieved 100 percent success rate at security coordination with Israel,” Abbas said. 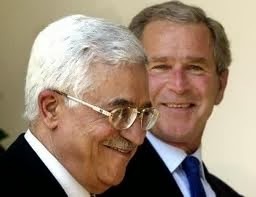 Abbas has also been leading a tenacious campaign against the right of return for Palestinian refugees. 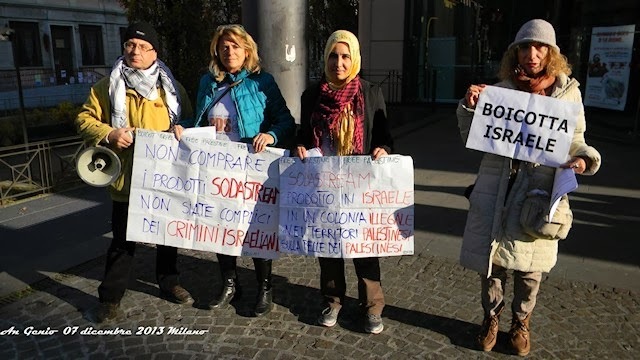 Refugee rights are a key pillar of the BDS call. Goldstein, it turns out, earned his education at a radical religious school in an Israeli settlement on occupied Palestinian land. He “is a graduate of the Beth El Yeshiva, the organization that founded and maintains Arutz Sheva.” Arutz Sheva, which reported this, is a far-right pro-settler and anti-Palestinian media organization. 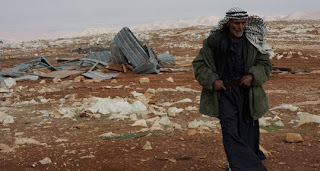 Beit El is a colony near Ramallah in the occupied West Bank. The Beit El Yeshiva (alternatively spelled Beth El) was founded in 1977 by radical Jewish settlers from the Mercaz Harav religious school in Jerusalem. “The foundations for the religious settlements in the West Bank were forged in Mercaz Harav,” according to Haaretz and it was from there that the earliest settlers to colonize the occupied territories set out after the 1967 war. The Beit El Yeshiva was established with the support of the Israeli occupation army which provided housing for the settlers on one of its bases. Last Saturday, Palestinian schoolboy Wajih Wajdi al-Ramahi, 14, was shot dead by an Israeli sniper. According to the boy’s father, the shots that killed his son were fired from a Beit El watchtower overlooking the adjacent Jalazone refugee camp where the family lives. In keeping with the Beit El Yeshiva’s extreme teachings, Goldstein himself has taken strongly anti-Palestinian positions. He even denies the occupation. “The … untruth is the accusation of illegal occupation of Arab land,” Golstein wrote in a letter to Archbishop Desmond Tutu. Calling South African Deputy Foreign Minister Ebrahim Ebrahim “unfit to hold public office,” Goldstein demanded he resign over the South African government’s support for Palestinian rights. 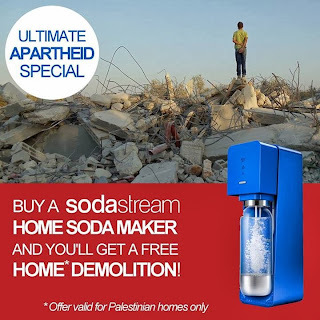 Goldstein even accused Ebrahim of “apartheid-style control of information and censorship” for calling on South Africans to avoid visiting Israel due to its ongoing human rights abuses.